Pet insurance – links and information. Pet Insurance – the ins and outs and what we can help you with. Firstly there are several options in c ompanies to choose from as well as policy depth of coverage. Most include a 6 week free trial. I will post information on 4 companies that have been used by our clients, or are commonly asked about. Mainly I have supplied links to their sites and copied some good information direct from the websites. You can choose different types and levels of coverage to suit your needs and budget. Did you know you’re 40% more likely to get your pet’s teeth cleaned if you have pet insurance that covers it? You may not realize that pet medical studies have shown that pets who have proper dental care are healthier than those who don’t. With all our Secure For Life™ plans there is annual preventive dental care included. You can use your dental coverage for an annual cleaning or problems with your pet’s teeth and/or gums. Veterinarians, breeders and animal health specialists all believe that routine wellness care for dogs and cats is a pivotal part of responsible pet parenting. It’s something that needs to be done and creates a foundation for the health and quality of life of your pet. For those who want to ensure everything is covered, we’ve designed Petsecure’s Secure 4, which incorporates comprehensive annual wellness care. You are looking for a small safety net and are prepared to pay out-of-pocket for more serious conditions that may exceed your coverage. You can handle the expense of the basic annual Preventive Care. What you need is protection for unexpected veterinary fees for treatments related to an illness or accident. You want a moderate amount of coverage but are prepared to cover additional treatments if you reach your coverage limits, but you like to keep your premiums low too. You will cover out of pocket all preventative and wellness testing. You are looking for top-of-the-line coverage with ample coverage for accidents and illness, but can budget for the costs of preventive care or wellness testing on your own. You want everything covered from preventative care, wellness testing and accidentals. Preventive care and annual wellness treatments are covered by your pet insurance plan. What is the cost of coverage is there a deductible? How do I make my claims? If you need to, you can pre submit a quote to see what portion will be covered? If you know you have coverage, you simply bring the claim form to your Veterinary Service when you have the work done. Where they will fill out the portion of the claim form they are responsible for and attach the billing information. Have our clients been happy with Petsecure? Yes, we have seen clients use Petsecure at the following levels: for medical testing from 50-500$, for preventative or wellness like dental COHAT for 300-400$, accidental coverage for cruciate repair surgery for 3000-4000$. We often ask if they have been happy with the insurance. Most often the response is very impressed with the coverage. Have our clients been happy with Pets Plus Us? To date we have only had clients sign on for the free 6 week trial, partially because it is a newer company. They are well underwritten however and should be a reliable service. I put in information for a quote and it was quickly received, with options for 4 types of plans with options for increasing or decreasing deductibles and co-payments so you can tweak your plan your way! Was very user friendly! We cover 90% of actual veterinary costs. Injuries and illnesses, hereditary and congenital conditions, diagnostic tests, surgeries, medications, hospital stays, and veterinary supplements. Choosing the right pet insurance provider and policy can be a daunting (and sometimes confusing) task. Start here to see how we compare to our competitors. One simple plan – Pet health insurance can get pretty complicated when you have to sort through several plans and levels. At Trupanion, we want to make pet insurance simple and easy to understand. Our comprehensive policy covers surgeries, diagnostic tests, medications, treatments and hospital stays if your pet gets sick or injured. We also reimburse from your actual veterinary bill so you don’t have to worry about a predetermined benefit schedule. 90% coverage* – Trupanion covers 90% of actual veterinary costs for approved accident and illness claims, less the exam fee, taxes, and optional deductible. Full 90% coverage is available at any veterinary hospital, emergency care center or specialty hospital. No payout limit – With Trupanion, your pet receives unlimited lifetime healthcare coverage. Trupanion does not impose any per incident limits, annual limits, or lifetime limits on the amount of care your pet can receive. Have our clients been happy with Trupanion? One of our team member’s has this coverage and is happy with it. She only has the accidental coverage, but over the potential lifespan of her pet, any serious injury will make the premium pay for itself. Have our clients been happy with – PC Pet Insurance? At this time we do not have any clients using PC Pet Insurance. In Conclusion the choice is yours, and no plan is the perfect fit for every pet family, however, with the options available there can be some very comforting and cost effective choices beneficial to your pet’s health. I hope you find this helpful. I know even as an employee of the vet clinic in hindsight, certain plans could have benefited my own pets over the years. 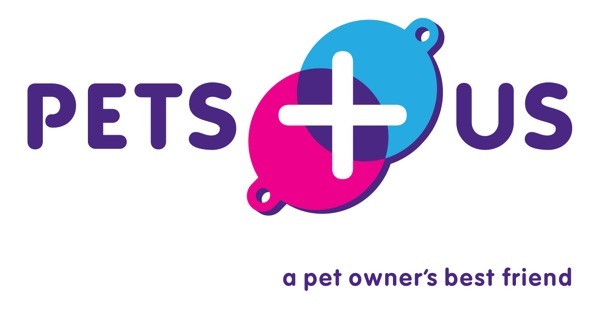 Please note; the only benefit the clinic receives is the ability to not only offer best prevention/treatment options, but be able to provide them to your pet, with less of a financial burden to the pet’s owner/family. Please call if you have any questions, we may be able to assist you, or at least lead you in a direction that will help. Your friends at the Mississippi Veterinary Services in Pakenham.